Main trailer & poster added for upcoming movie “The Werewolf Game: Prison Break” starring Riria, Yutaro Watanabe & Kasumi Yamaya. 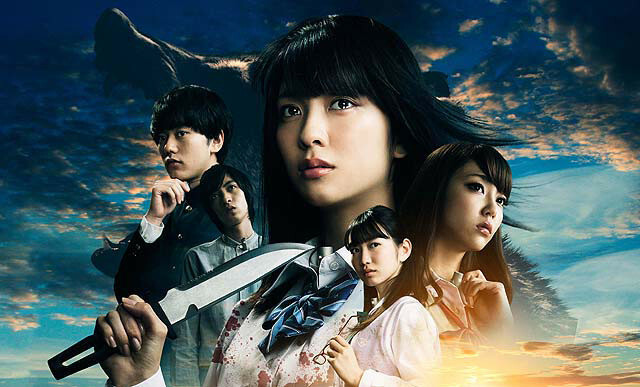 Movie is the fourth film based on the “Jinro Game” novels by Ryo Kawakami. “The Werewolf Game: Prison Break” will be released July 2, 2016 in Japan. Teaser trailer #5 for KBS2 drama series “Uncontrollably Fond” starring Kim Woo-Bin and Bae Suzy. Teaser trailer #5 reveals a major car accident. 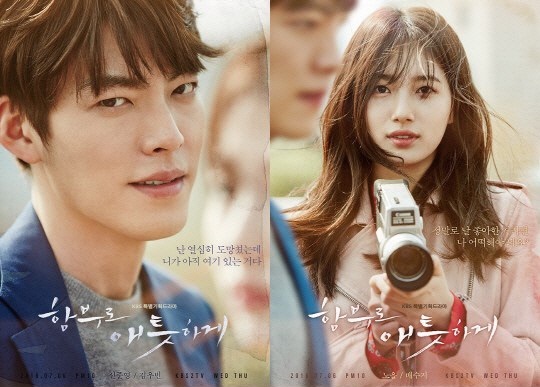 “Uncontrollably Fond” first airs July 6, 2016 in South Korea. Ha Seok-Jin and Park Ha-Sun are now cast for the lead roles in upcoming tvN drama series “Drinking Solo” (literal title). In the drama series, Ha Seok-Jin will play an arrogant, but popular instructor at a private institute for those prepping for their civil service exams. Park Ha-Sun will play a rookie instructor at the same private institute. The two will have romantic interests in each other while Park Ha-Sun’s character attempts to survive as a rookie instructor. “Drinking Solo” first airs September, 2016 in South Korea. 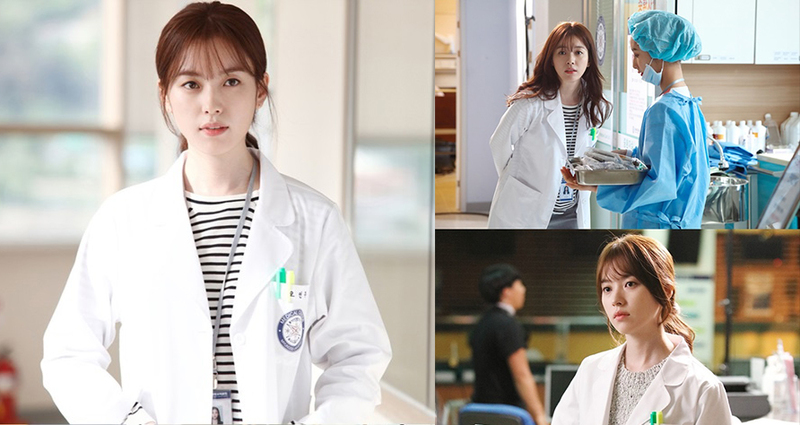 Here’s the first still images of Han Hyo-Joo in upcoming MBC drama series “W” also starring Lee Jong-Suk. In the drama series, Han Hyo-Joo plays Oh Yeon-Joo. Her character is a 2nd year resident of thoracic surgery. She’s kind and also inquisitive. “W” will first air July 20, 2016 in South Korea. “Anger” will be released September 17, 2016 in Japan. Shin Min-A and Lee Min-Ki have been offered the lead roles in upcoming tvN drama series “Tomorrow With You” (literal title). Both of the performers are currently “positively considering” the offers. 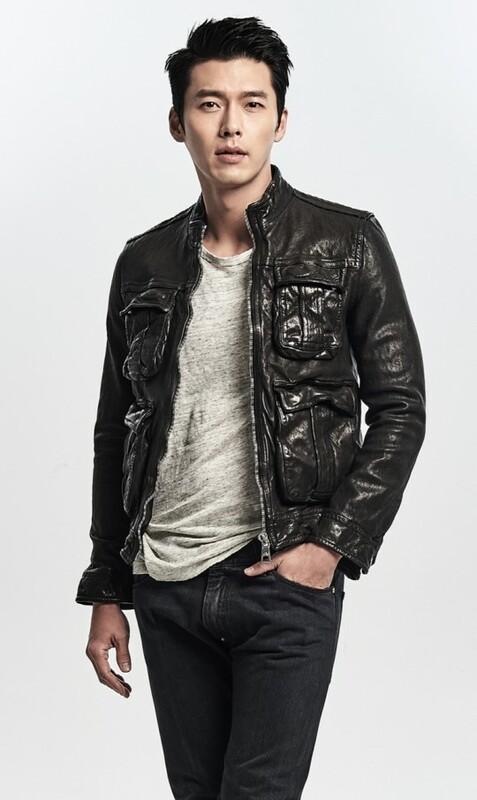 For actor Lee Min-Ki, if he accepts the role, this will be his first acting performance since being discharged from the military on August 3, 2016. Story for the drama series follows a time traveler and his wife. Teaser trailer #3 added for upcoming SBS drama series “Wanted” starring Kim A-Joong, Uhm Tae-Woong & Ji Hyun-Woo. Drama series will premiere June 22, 2016 in South Korea. Will air in the same time period (Wednesday & Thursday 10PM) as upcoming dramas “W” (MBC) and “Uncontrollably Fond” (KBS2). Trailer for movie “Emi-Abi” starring Ryu Morioka, Tomoya Maeno, Haru Kuroki & Hirofumi Arai. 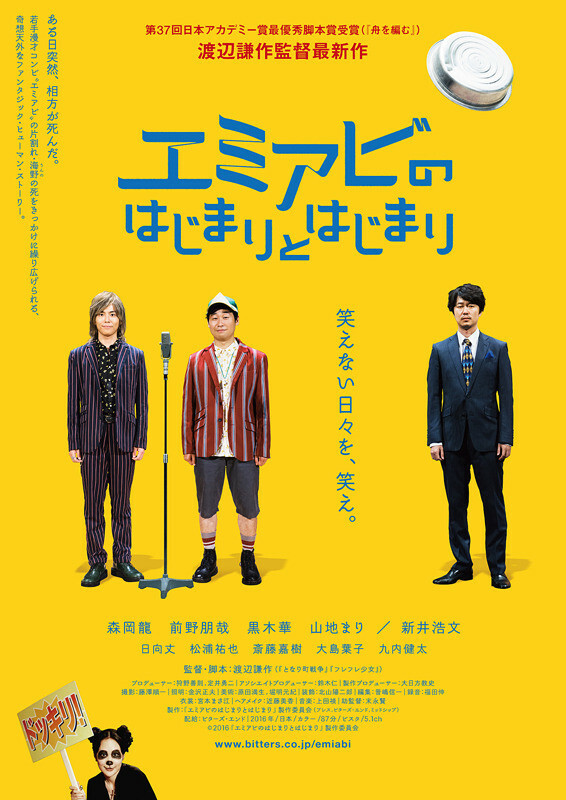 Movie tells the story of a man who was part of a manzai comedy duo. His partner died in a car accident and he is left to ponder his own situation. “Emi-Abi” will have its world premiere at this year’s Japan Cuts film festival in New York City on July 24, 2016 and its general release September 3, 2016 in Japan. Hyun-Bin is now cast in upcoming movie “Ggoon.” Movie is directed by first time director Jang Chang-Won. In the film, Hyun-Bin will play a swindler out to catch another swindler via a scheme. Actor Yoo Ji-Tae has been offered a major supporting role in the film and he is “positively considering” the offer. Actor Yoo Ji-Tae is now cast to play prosecutor Park Hee-Soo. Filming for “Ggoon” begins later this year in South Korea. Yasuko Matsuyuki, Ai Hashimoto, Riko Narumi are cast in movie “Koto.” The film is based on 1962 novel “Koto” by Yasunari Kawabata. Yasunari Kawabata became the first Japanese recipient of the Novel Prize for Literature in 1968. In movie “Koto,” Yasuko Matsuyuki will play twin sisters Chieko Sanda & Mitsuko Nakata. The twin sisters were separated when they were infants, but live in the Kyoto area. Ai Hashimoto will play the daughter of Chieko Sanda and Riko Narumi will play the daughter of Mitsuko Nakata. “Koto” will be released December 3, 2016 in Japan.